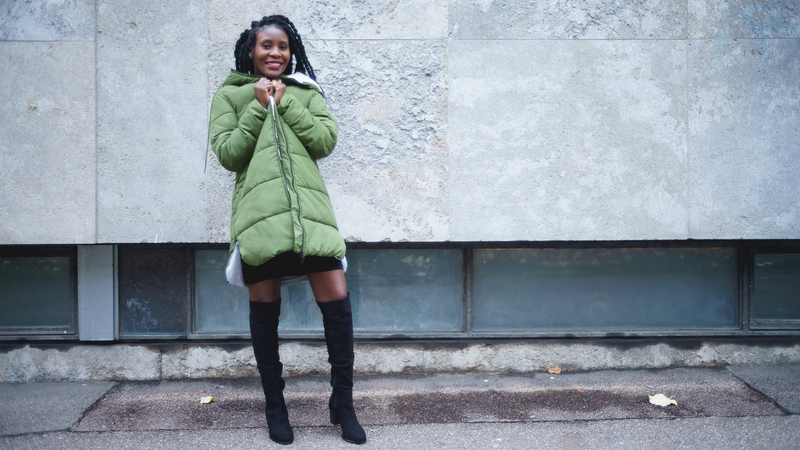 Styling a Puffer Coat – Sara K.
Posted on November 27, 2016 April 7, 2017 by Sara K.
how was your weekend? 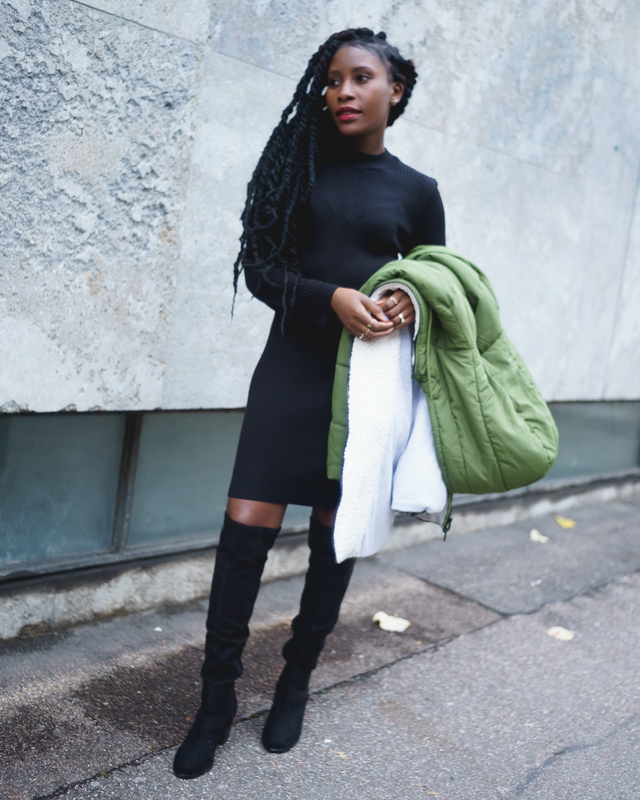 – mine was a chilled one and I feel well rested for the week ahead. 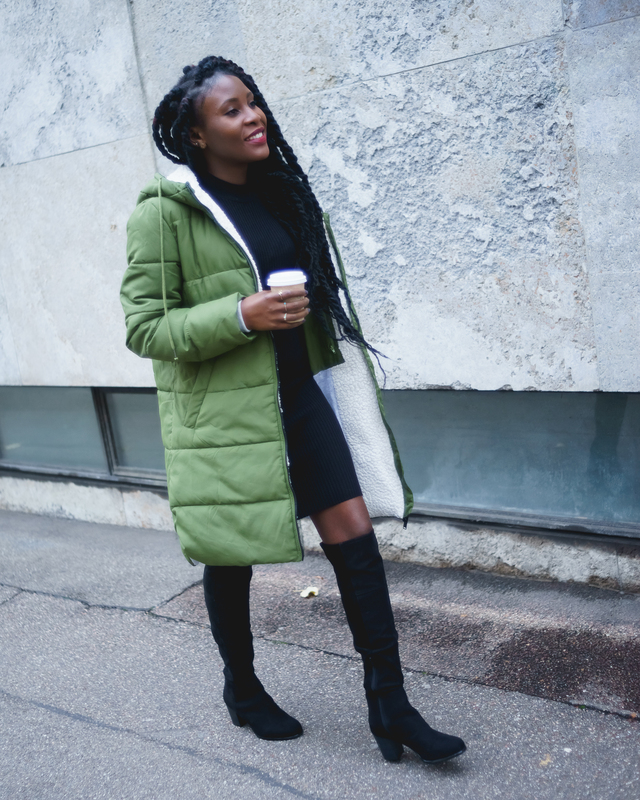 I had a busy day and needed my coffee, so we stopped for a coffee to go and while we were at it, we shot some pictures of my ootd. 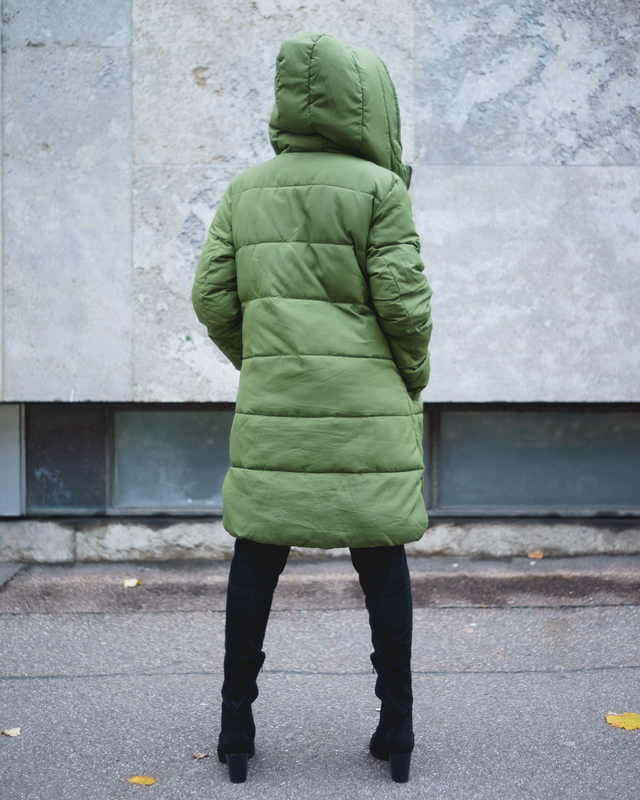 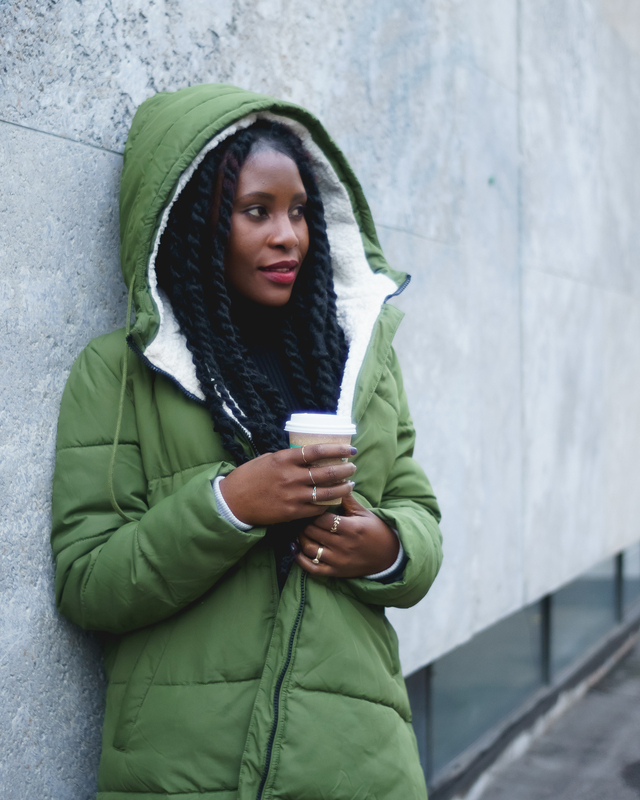 Apart from a good hot coffee on a cold day, there is nothing better than a warm outdoor coat. 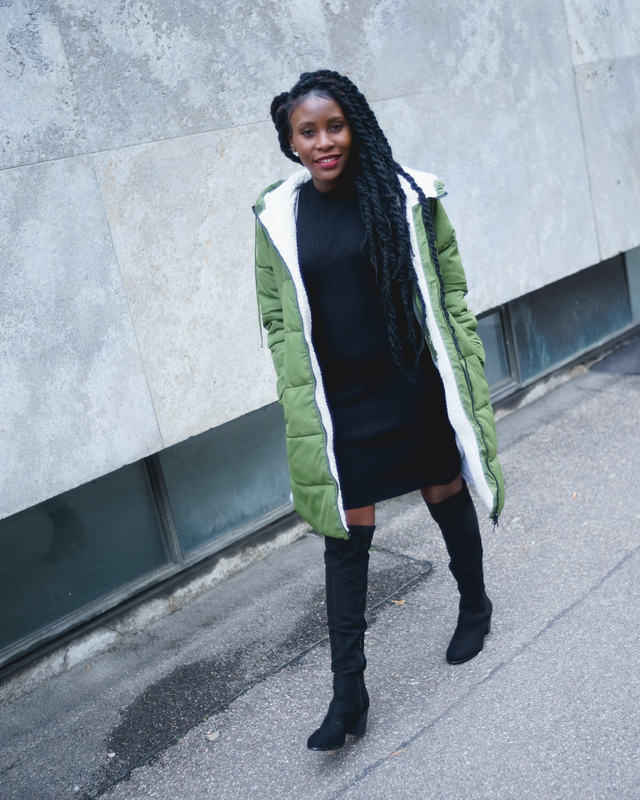 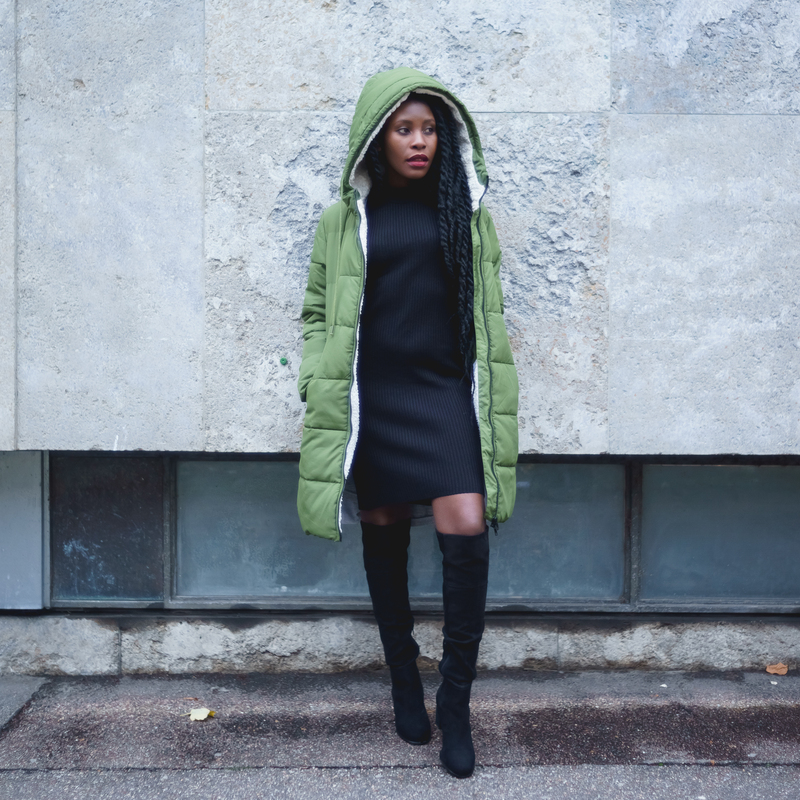 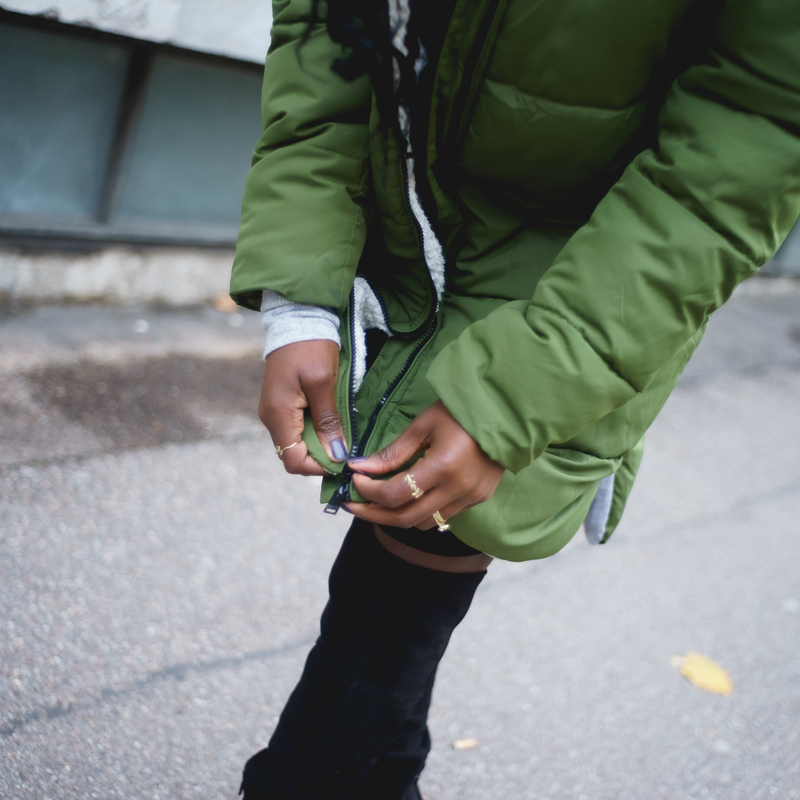 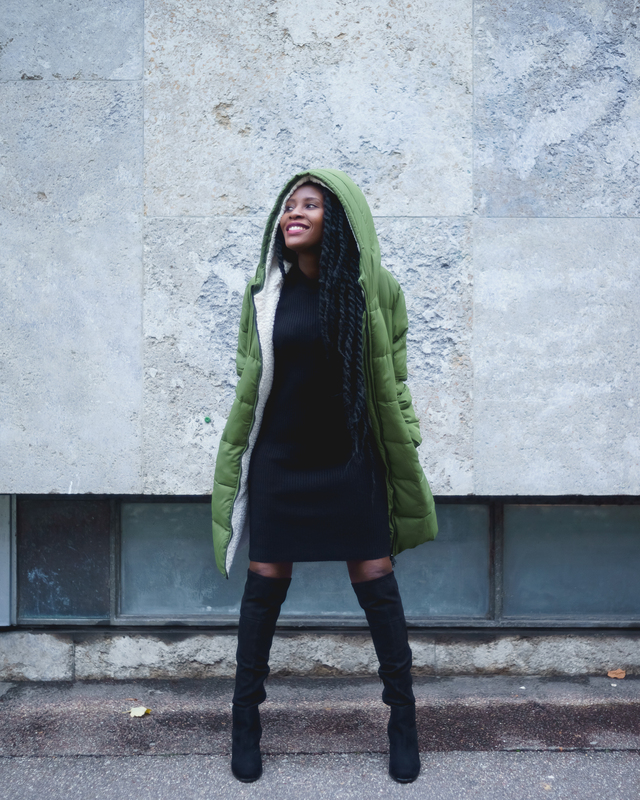 My outfit was a really basic ensemble: a black knit dress paired with black knee high boots and a Puffer Coat. 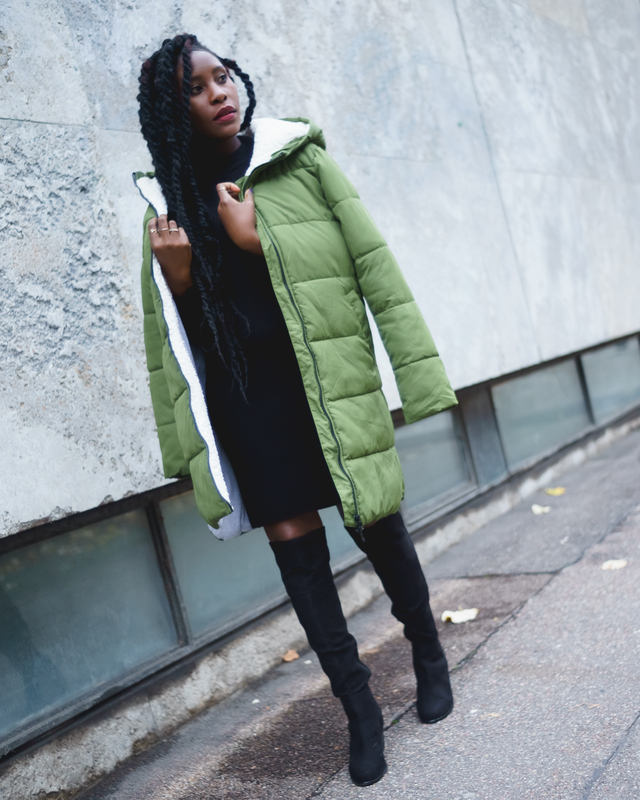 I know some people find puffer coats not so dressy or stylish but to be honest it is not what you wear, it is how you wear it 😉 and puffers are really practical.The colour co-ordination of the dress and boots made it easy to wear this puffer, the dress was plain black with no patterns and the boots the same, allowing the coat to stand out and look more sleek and fashionable.